We asked ‘big cheese’ Sam Wilkin of Cellarman Sam for his top tips on pairing cheese with cider. Here we share some guiding principles but also specific cheese pairings with our very own Cotswold Cider Co bottled ciders. We were surprised by some really creative pairings! Cider with cheese probably isn’t an obvious ‘go to’ for many people. So, for those who haven’t ventured into cider and food pairing generally, It’s helpful to think of cider a bit like wine. Cider, like wine, is best when it is allowed to come to full maturity. Like wine, it’s extremely versatile; there is the full taste spectrum to be enjoyed from dry to sweet and also different depths of flavour from rich, full bodied tannic ciders to light and fruity. For this reason, there are loads of opportunities for different pairings. 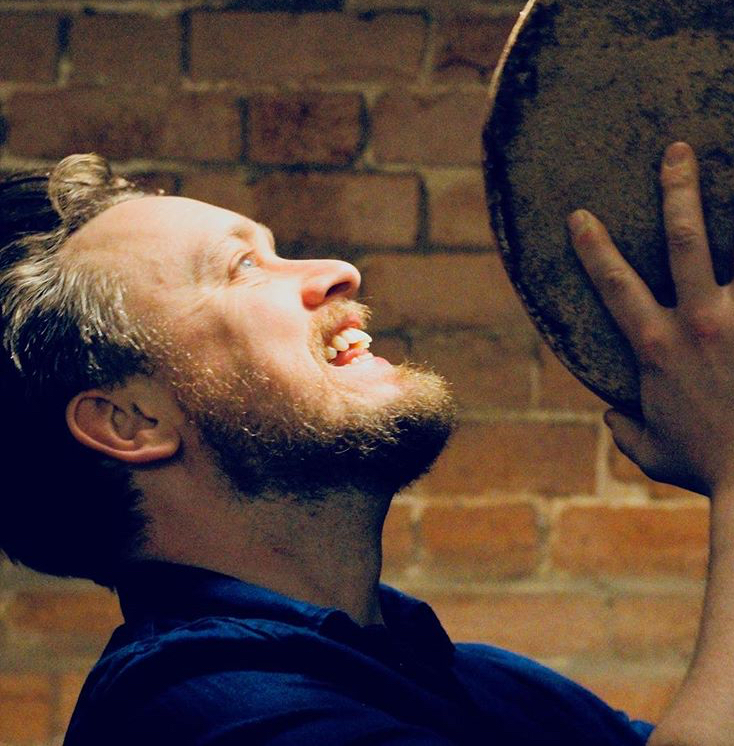 Sam Wilkin is an independent cheese consultant, blogger, podcaster and judge at the Guild of Fine Foods and we asked him how he would go about pairing Rory’s cider with cheese. We sent him our core range of bottled ciders; BlowHorn Chaider (chai-spiced medium), NoBrainer sparkling (dry, cloudy with a bittersweet kick of tannins), SideBurns (medium, rich, fruity), and SweetCheeks (medium blush cider flavoured with elderberry and blackberry). And the results were genuinely surprising! Before we go into the specific pairings, check out Sam’s intro video here on key principles. So, across each pairing, Sam was considering complementary and / or contrasting flavours but also looking at how to create really great balance of favours. Let’s kick off with the NoBrainer Pairing. Here we’ve got the Cornish Yarg perfectly paired with NoBrainer Sparkling Dry Cider. Yarg is an award-winning crumbly cheese with a beautiful rind made from nettles. What a combo! This pairing is all about complementary flavours with the 'minerality' in the cider reflected in the cheese, but also the very subtle fruitiness offset by the salt in the cheese. And so, if you tend to think of Gouda as a flabby, funny coloured, bland cheese best avoided, then give aged Gouda a crack. Caramel notes in the medium cider are reflected in the aged caramel notes in the cheese. 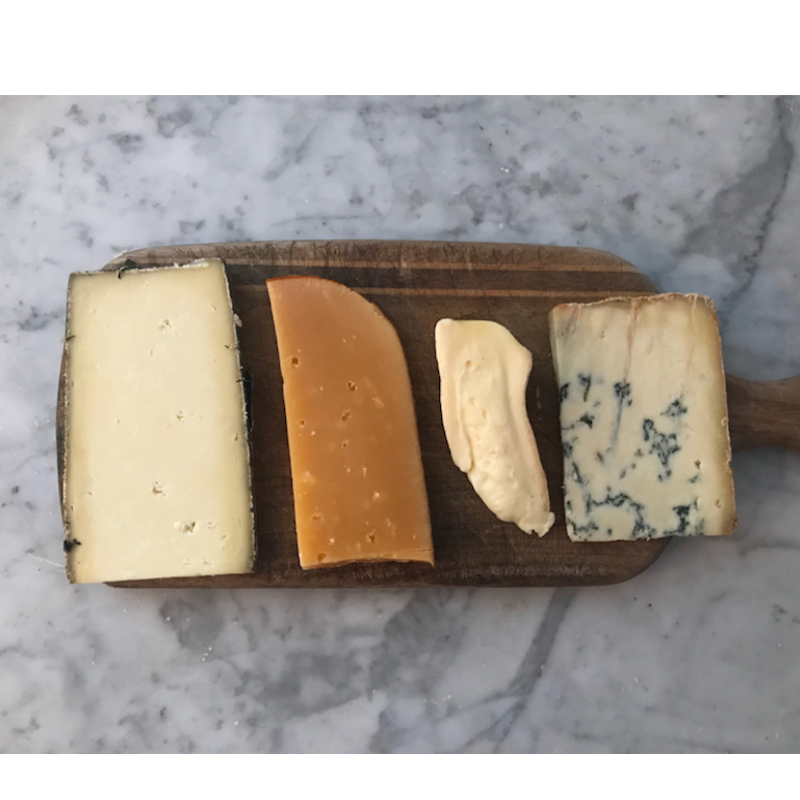 Sam chose the Gouda specifically because of the balance of salt and sweet, with the salt in the cheese offsetting the sweet notes in the SideBurns which is a medium cider with caramel toffee-apple top notes. This was a really surprising pairing for us and we loved it’s originality. Stinking Bishop and Chai? Whoah. For those not familiar with Stinking Bishop.. It's a soft cheese and, well, it comes with a bit of 'aroma' shall we say. Made by Charles Martell & Son in Gloucestershire, it is a cave-aged cheese washed in perry. 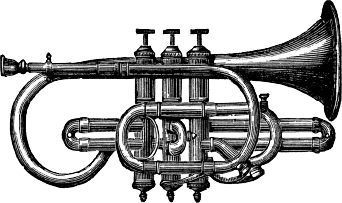 According to the maker website, the name comes from a pear but also an actual 19th Century farmer called Bishop. "He earned himself the nick-name 'Stinking Bishop' because of his riotous behaviour. He once took a cow to market and determined to drink the proceeds before he went home - he did, and then when the kettle was too slow to boil he shot it!" In this incredible pairing, Sam is contrasting textures (slightly acidic, sparkling cider against oozing, creamy cheese) but also pitting spice against perfume. It's a mind-blowing combo. So, our medium sweet blush cider SweetCheeks perfectly paired here with a traditionally made blue Stilton from the famous Colston Bassett Dairy near Nottingham where all milk is sourced direct from local dairies and the cheeses are hand-made traditionally. This pairing is all about contrast as Sam off sets the sweetness in the cider with the strong umami (that’s strong savoury) flavours in the Stilton. There’s also big contrasts in the texture which make this pairing really work in the mouth. Check out the video to see Sam working SweetCheeks and Stilton to the max. And so here we have it. The final pairings. NoBrainer with Cornish Yarg, SideBurns with Gouda, BlowHorn with Stinking Bishop and SweetCheeks with Blue Stilton. For example, salty and savoury with sweeter ciders. Sam chose Stilton as a pairing for SweetCheeks, but a salty goats cheese word work just as well. Sam chose a chalky mild-flavoured cheese, the Cornish Yarg, to complement the NoBrainer cider. There was a complexity to this pairing with the underlying bittersweet apple-fruit flavour offsetting the subtle saltiness of the cheese. You could experiment with West Country cheddars on the mild-to-strong spectrum with different ciders. Acidic/sparkle vs soft and creamy. Remember, not too much treble, not too much base. And if that sentence makes *no sense* to you whatsoever we know you skipped the first video. TUT TUT. But well done, you made it to the end which is a sure sign you too are a cheese and / or cider head. 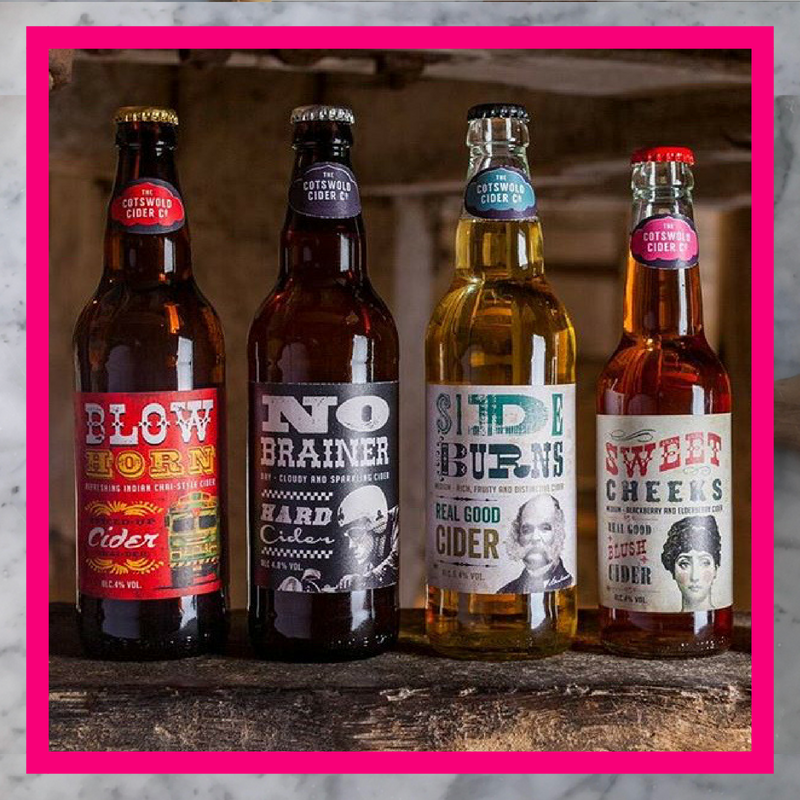 Enough of the tutorial - head to the shop to buy our cider direct and start experimenting with your own pairings at home. And follow Cellarman Sam on instagram, twitter, and facebook for more great cheesy content.